A quick tour of my mantelpiece. Here is the finished paper garland, which was fairly laborious to complete–I cut out 120 paper flowers in all, and slowly slotted them together. It is a perfect activity if you want to feel productive while watching a marathon of Christmas movies. And my Christmas village! Met with approval by all. The houses were really simple to make. I ordered some plain wooden blocks in three shapes (square, rectangle, and triangle) and glued the triangles to the squares for the houses. I used a little wood filler to smooth out the seam. Then I painted them using “Folk art” acrylic paint. I used a fine point Sharpie to add the details, and then painted on the final touches like the wreathes. Wow! I’m so impressed by the garland and the Christmas village! The paper orbs were worth the trouble, I think. Also, very impressed that you have a mantle! The spaciousness implied by the background of your photos is piquing my house envy! Why wouldn’t my little apartment just grow a little? At least, grow a mantle. OK. I spell checked “mantelpiece” but should it be mantlepiece?? The spaciousness is partly an illusion and mostly the result of lack of stuff, but we do have very high ceilings! OK, just checked my Webster’s Tenth. 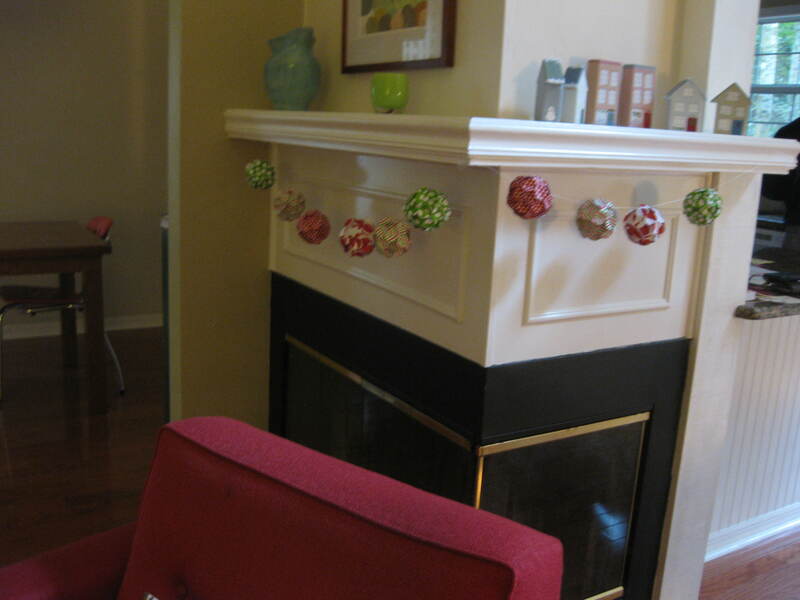 Mantel is right–although the 6th definition of “mantle” is “mantel”–so it is a variant spelling. But mostly, “mantle” means a cloak. I’m not envious of your cloak (yet), just that little shelf over your fireplace. Phew. I’m having spelling anxiety these days. I’m going to write up that pattern for the tree skirt soon! Dabble. Putter. Create. Homemade city is a space devoted to the love of making. 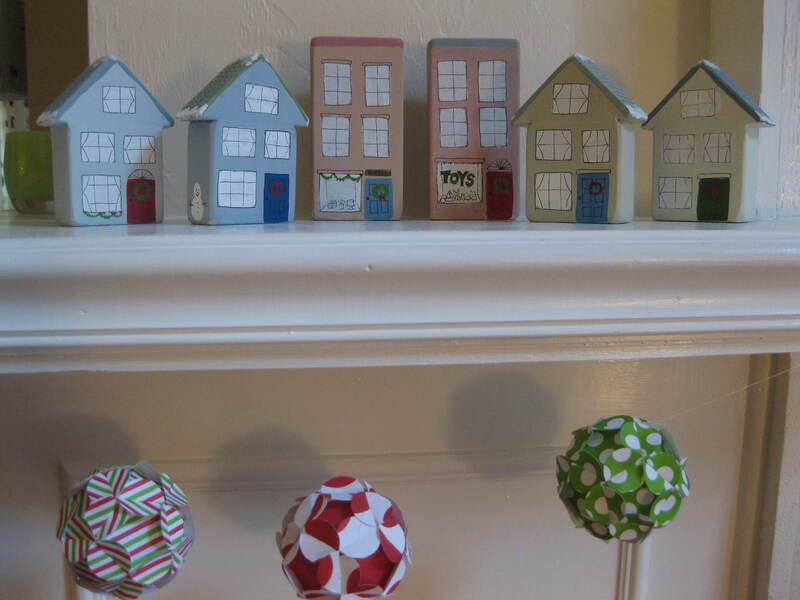 We design and share home and kid-related craft projects that are fast, fun, and cheap.